I have two beginning readers at my house! It’s a lot of work to remember letter sounds and blend the sounds together into words. We were excited to try a new program to help them as they practice reading skills. 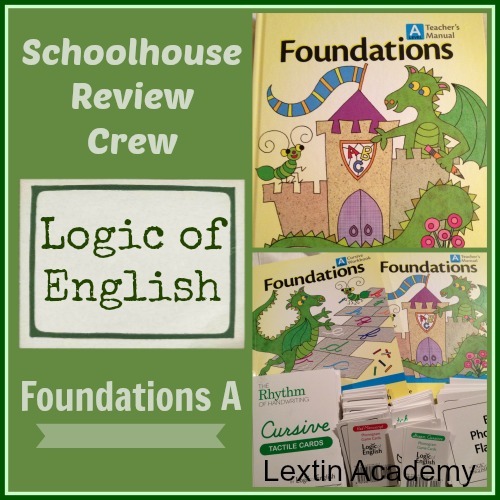 I’ve been reading about Logic of English so I was thrilled I would have the chance to review the Foundations A program! Logic of English was created to address the dropping literacy rate through teaching the logic behind phonics and spelling rules in the English language. There are in fact reasons for those silent “e’s” at the end of words as well as the doubled letters and the various vowel combinations used in English. The Logic of English offers resources for teaching reading, writing, and spelling through learning the 74 basic phonograms of the English language as well as about 30 spelling rules. 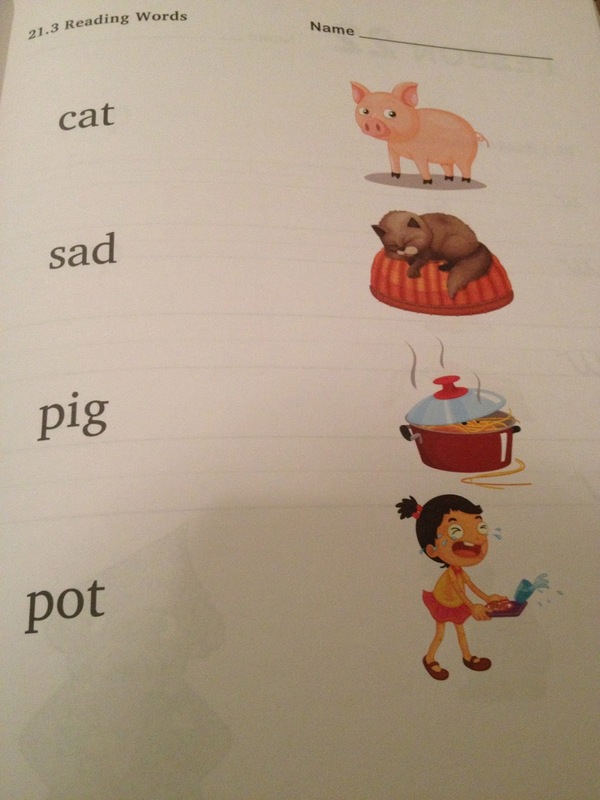 The programs from Logic of English are completely phonics-based and do not teach sight words. Their programs teach the English language through a systematic approach explaining the rules and the few exceptions. Foundations A is a multi-sensory program for teaching the beginning reader. This program teaches short vowel sounds and consonant sounds from A-Z with reading and handwriting practice. Foundations uses games and activities to engage the student and teach children of various learning styles. This level teaches a student to segment words, blend short consonant-vowel-consonant words, spell several of these short words, and write all the lower case letters. Foundations A contains 40 lessons with 8 assessments and review lessons. This level is appropriate for a student between ages 4-7 who is ready to begin learning to read and write. Foundations A can be purchased with a manuscript or cursive workbook. (We received the cursive workbook.) The teacher’s guide retails for $38.00 and the student manual retails for $18.00. For an overview of the entire foundations program, go here. Logic of English also has an app designed to help teach the phonograms. The app retails for $2.99. Tiger used this app on his own as a way to review the phonograms that we learned during the week. We loved the app! It is very easy to use. The phonogram sounds are very clear and the large tiles are easy to see and easy for kids to select. There are 10 levels of review with the app. With each level, a select number of phonograms are tested. Four tiles are shown on each screen as a phonogram sound is called out. 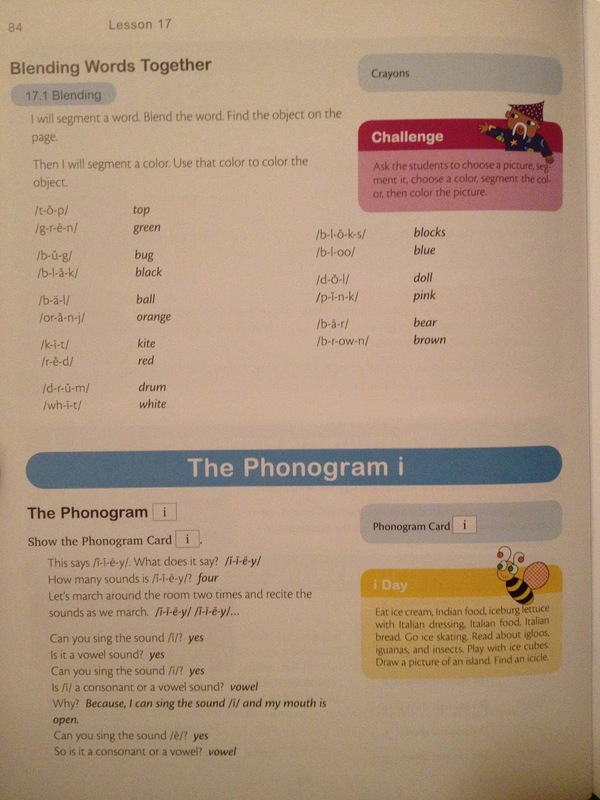 The student then must click on the correct phonogram. There is also a way to create your own level. 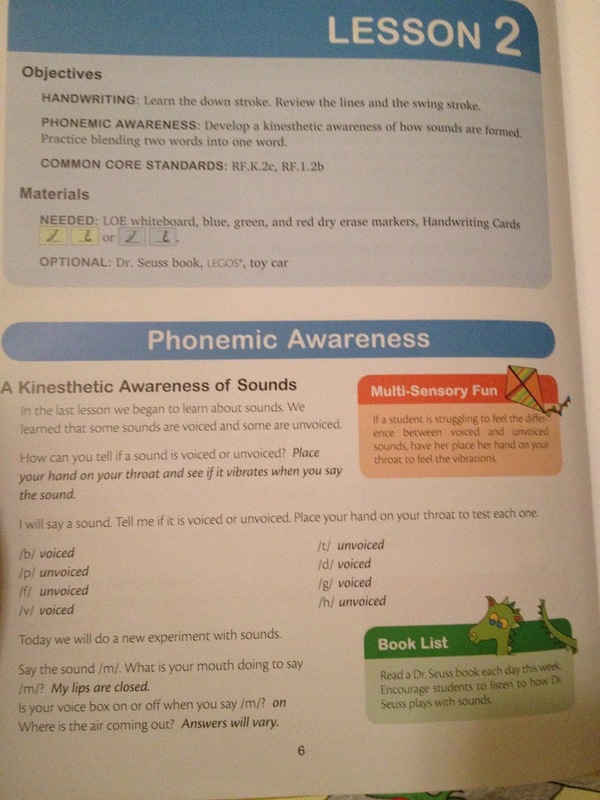 In this portion you can choose the phonograms that you want tested so you can give your child targeted review. Both Tiger and Bee participated in this review. Since Tiger (age 5) has suddenly started struggling during reading time, I decided to start him at the beginning of the book. We started on the first lesson and completed 1/2 to one complete lesson per day. We worked on letter sounds and then spent some time at the end of each lesson either reviewing cursive strokes or learning a new cursive stroke. Bee (age 4) started at the beginning of the program but since she has had very little exposure to letter sounds and blending, we worked through the lessons more slowly. At most she did about 1/2 a lesson per day and sometimes even less. Some days we simply went back and reviewed the portion of the lesson we had done the day before. We also spent some time practicing her cursive every single day. Here’s a look into one of our days using Logic of English – or Dragon Time as my kids call it! Tiger started asking for “Dragon Time” during school each day – which is saying a lot for my math kid who does not like reading! We began by playing a guessing game. I said the first sound of various foods that were pictured in the workbook and he had to name the food that I was thinking. Then I let him say the first sound of foods and I tried to guess the food he was thinking. Next we worked on blending consonants. I said two sounds such as /t-r/ and then he had to blend them together. He marched around the room as he said the blends out loud for practice. Then we looked at our next workbook page. There were pictures of objects such as a ball, train, kite, and sun. He had to segment the words and say each letter sound slowly and I had to guess which picture he was sounding out. I introduced the new phonogram – “qu.” We worked on this sound and then I showed him how to correctly write the new phonogram. We wrote the phonogram in the air with our fingers and then he wrote it on the whiteboard. At the end of our lesson we played one of the suggested games – Phonogram Slap. I placed all the phonogram cards that Tiger had learned on the table and I called out a sound. He had to slap the correct phonogram card as quickly as possible. He had his dinosaur figurines help him out by “eating” the cards as I called them out. His dinosaurs knew their phonogram sounds very well! Bee’s lesson began with comparing letter sounds. We said the /s/ sound and felt the air coming out of our mouths. Then we said the /z/ sound and compared the difference. Then we talked about voiced and unvoiced sounds and compared other sounds to discover if they were voiced or unvoiced. Next I told her a letter sound to listen for such as the sound /t/ and then I called out lots of letter sounds. When she heard the sound for /t/ she had to stand up. We played this game with various sounds and I gave her different directions to do when she heard the correct sound – lay down, jump, or clap. Then I segmented action verbs and once she figured out which word I was saying she had to act it out. Some of the words were sing, tap, cry, walk, and hop. We also learned the phonogram “a.” We talked about how animals can make more than one sound and this letter makes more than one sound – it actually has 3 sounds! We looked at her workbook which had the letter a written in various fonts so she could see the different ways an “a” could be written in text. Then it was time to learn to write the letter “a.” I showed her the handwriting card and she traced the tactile card while saying the letter sounds. We practiced writing the letter in the air before she practiced on the whiteboard. The program moves at a slow pace which was perfect for my kids, but some kids will move more quickly through the program. This means that you will need to purchase multiple levels to complete a school year. The pages are colorful and the layout is well organized and easy to read. It’s just pretty!! How fun is it to teach from something that is visually nice to look at? I loved the colors and the high quality teacher’s manual and workbook. Every possible instruction has been included along with many teaching tips for struggling learners, hands-on learners, or children who are having a difficult time with their speech. I found these tips and activity ideas invaluable. I learned so much from reading the little colored boxes that were next to the text. I felt fully equipped to teach my kids and to help them if they struggled with a concept. It works well for any learning style. With all the helpful tips and hints, it is easy to adapt the lessons to suit any learning style. Kids of any style can be drawn into the learning and benefit from the activity and enrichment ideas. It has manipulatives! You can purchase phonogram cards to use for review and to use in playing games. There are also handwriting cards that have rough sandpaper letters for the child to trace with a finger to learn letter formation. And there is a giant whiteboard to practice handwriting. These components added so much to the program for us. You can choose cursive or manuscript fonts. 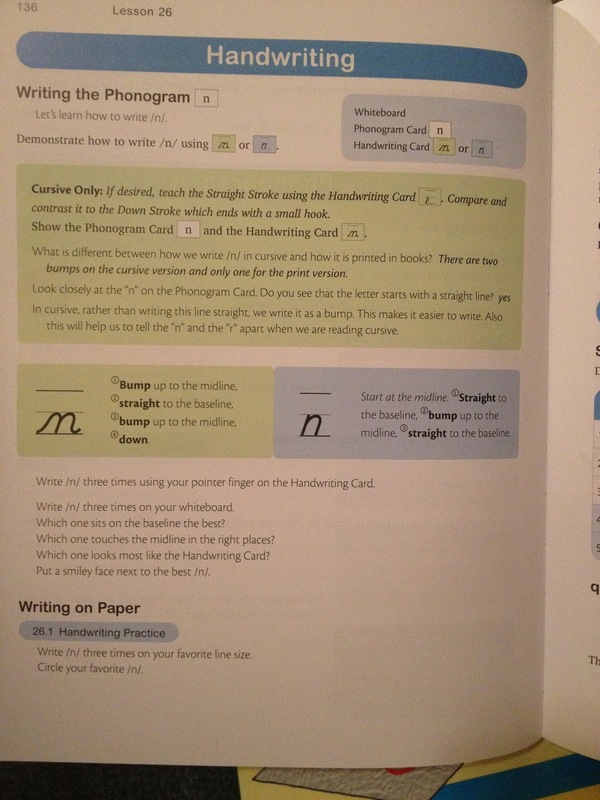 And handwriting instruction for both methods are built into the teacher’s manual. The handwriting portion moves at a slow pace and teaches handwriting strokes before putting them together to form letters. It’s very step-by-step with clear instructions and visuals. Well, I didn’t know what to expect when we received our box in the mail but I was thrilled when we opened our package and pulled out our curriculum. The products are high quality (and pretty) and the material was easy to begin using right away. The game ideas were wonderful and my kids enjoyed many of the enrichment ideas. I found the lesson length to work well for Tiger and it was easy to slow down the pace for Bee. It was easy to use and flexible! Can you ask for more? My kids loved this program and still ask to do it every day during our school time. And I love teaching it! I have been thrilled with their progress and the skills they have learned even though we are not yet halfway through this level. I’ve also been pleasantly surprised with their cursive skills. So, we love it at our house for its clear instructions, fun activities, and beautiful presentations. We’re big fans! I think we’ll have to have more “Dragons” at our house!